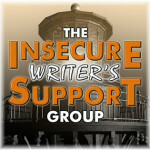 September 2017 Insecure Writers Support Group Question: Have you ever surprised yourself with your writing? For example, by trying a new genre you didn’t think you’d be comfortable in? Slightly longer answer. 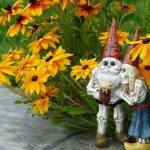 Writing short stories, I try on different genres and styles. Sometimes they fit comfortably, other times I hit delete. I also take workshops from experts in various genres, especially if it’s something that makes me feel a little uncomfortable. That is how I was introduced to bizarro. Rose O’Keefe of Eraserhead Press taught a class at Litreactor, and I subsequently took a second iteration of the same class, taught by David Osbourne. It’s a freeing genre to write, though most people have no idea it exists. One of my short stories 3-D Monarch is published in the After the Happily Ever After anthology.